Out of 49 teams selected to compete in the World Finals, team smartARM from Canada took home the Imagine Cup! Read about the final four teams that competed in the Championships and learn more about them. Meet the 2017 Imagine Cup Champions! Team ENTy of Romania celebrates on stage in the Quincy Jones Performing Arts Center at Garfield High School after winning the 2016 Imagine Cup Championship. 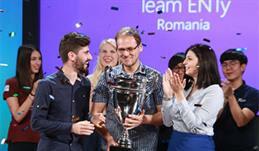 And your new Imagine Cup Champion IS … Team ENTy of Romania! The winners of the 2015 Imagine Cup are announced. 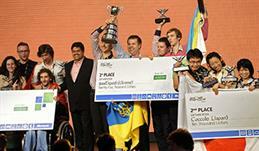 The winners of the 2013 Imagine Cup are announced. 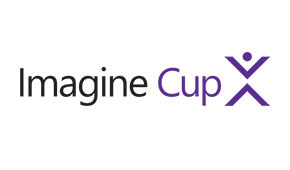 The winners of the 2012 Imagine Cup are announced. The winners of the 2011 Imagine Cup are announced. The winners of the 2010 Imagine Cup are announced. The winners of the 2009 Imagine Cup are announced. The winners of the 2008 Imagine Cup are announced. The winners of the 2007 Imagine Cup are announced. The winners of the 2006 Imagine Cup are announced. The winners of the 2005 Imagine Cup are announced. The winners of the 2004 Imagine Cup are announced. 52 teams from around the world came to the Microsoft campus in Redmond, Washington to compete in our 15th annual Imagine Cup. The 2016 Imagine Cup World Championship is here! 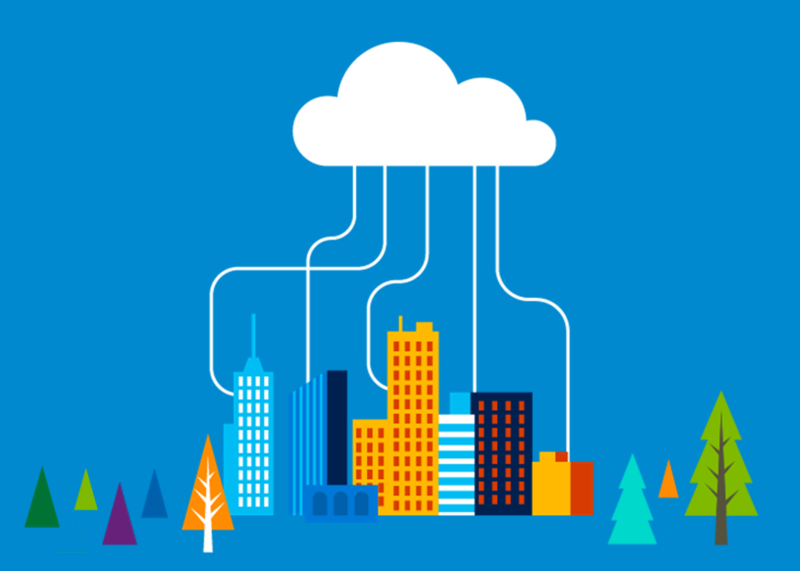 Watch the drama unfold as young developers from around the world compete to win Microsoft's student technology competition. The 2015 Imagine Cup World Championship is here! Thousands of coding hours all come down to this. Who will win it all? Download the 2012 Imagine Cup yeardbook. Download the 2011 Imagine Cup yeardbook. Download the 2010 Imagine Cup yeardbook. Download the 2009 Imagine Cup yeardbook. Download the 2008 Imagine Cup yeardbook. Download the 2007 Imagine Cup yeardbook. Download the 2006 Imagine Cup yeardbook. Download the 2005 Imagine Cup yeardbook. Download the 2004 Imagine Cup yeardbook. Find out more about our 2014 Award and Challenge winners. 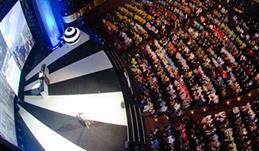 The 2014 Imagine Cup World Finals in Seattle brings together over 30 student teams to compete for the Imagine Cup. Read more about our finalists. These three teams will present their projects in front of a trio of Championship judges in the hopes of winning the 2018 Imagine Cup. Team iCry2Talk from Greece introduce themselves and tell us about their journey to the 2018 Imagine Cup World Championship. Team Mediated Ear from Japan introduce themselves and tell us about their journey to the 2018 Imagine Cup World Championship. Our 2018 Big Idea Challenge winner was VisionX from Romania. Meet the 2018 Big Idea Challenge Winners! Team smartARM from Canada introduce themselves and tell us about their journey to the 2018 Imagine Cup World Championship. 2018 Imagine Cup World Championship host Corey Sanders meets with team iCry2Talk from Greece to learn about their project. 2018 Imagine Cup World Championship host Corey Sanders meets with team Mediated Ear from Japan to learn about their project. Oculogx developed PickAR, a mixed reality application designed for the HoloLens for large warehouses. Nash created Rescue, software that enables a network of autonomous IoT drones designed to shorten response times to natural disasters. X.Glu invented a patented, cloud-connected glucose meter designed for children with diabetes. Real innovation comes out of the Imagine Cup, and many of these ideas go on to get venture capital funding and become full-scale products. 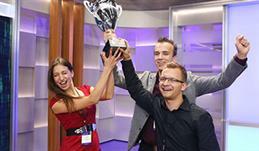 Three students from the Czech Republic took home $100,000 after winning Imagine Cup last July. They built a holistic hardware, software and gamification application that helps Type 1 diabetics. Please join us for the 2016 Imagine Cup World Finals Award Ceremony where the top three teams from each category will be announced! The 2016 Games winner is announced. The 2016 Innovation winner is announced. The 2016 World Citizenship winner is announced. Team ENTy of Romania, the 2016 Imagine Cup World Champions, got their chance to claim the grand prize for winning Microsoft’s global technology competition: a private mentoring session with CEO Satya Nadella. Face to face with Satya Nadella: Find out what the 2016 Imagine Cup Champions asked Microsoft’s CEO! This morning, Microsoft CEO Satya Nadella announced the first place winners of the Games, Innovation and World Citizenship categories in the Imagine Cup World Finals. Here are your 2016 Games, Innovation & World Citizenship winners! Find out more about our 2015 Award and Challenge winners. The 2015 Imagine Cup World Finals in Seattle brings together over 30 student teams to compete for the Imagine Cup. Read more about our finalists. Read about the final teams that competed in the Championships and learn more about them. The winners of the 2014 Imagine Cup are announced. The 2018 Imagine Cup Asia Pacific National Final brought together 15 teams to showcase their innovative technological projects with the potential to change the world. The US Imagine Cup brought together 12 student teams in San Francisco to compete for up to $11,000 and a spot in the World Finals at Microsoft headquarters. The 2018 U.S. Imagine Cup first place winner was Pengram from UC Berkeley. At the Global Finals of Imagine Cup 2018, these 3 teams will represent Canada and compete for a chance at prizes. We are thrilled to introduce this year’s Online Imagine Cup Finals winners! Congratulate the 2018 Online Imagine Cup Finals Winners! 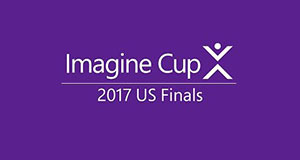 Watch the Online Broadcast of the 2017 US Imagine Cup Finals, hosted by Sabrina from YouTube’s "Nerdy & Quirky". 2017 U.S. 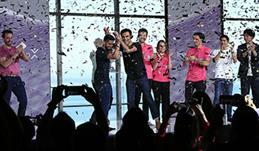 Imagine Cup Winners announced atop Seattle Space Needle! Watch as student teams from Germany compete for a spot in the World Finals. We are thrilled to introduce the 2017 Imagine Cup Online Finals champions! The winners of the 2017 US Imagine Cup, Microsoft's premier student tech competition, were announced on top of the Space Needle in Seattle, Washington. The winners of the third round of the Imagine Cup Earth competition have been named! Introducing the 2016 Imagine Cup Online Finals champions! Online finalists come from countries that do not host an Imagine Cup National Finals round. Meet your 2016 Online Finals Winners! Brainy Studio, first place team in the Games category at the 2014 Imagine Cup World Finals, recently released their game “TurnOn” for the Xbox One and Steam. From Imagine Cup to Xbox One: These developers transformed their demo into a published game!